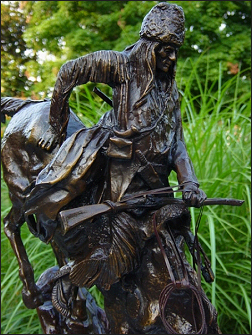 Violence and danger are a recurring theme in Frederic Remington's art. 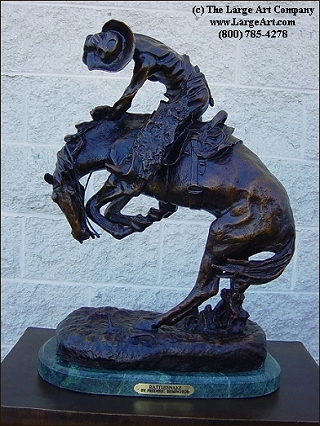 In "Rattlesnake" he captures a horses reaction to encountering a rattlesake on the trail. 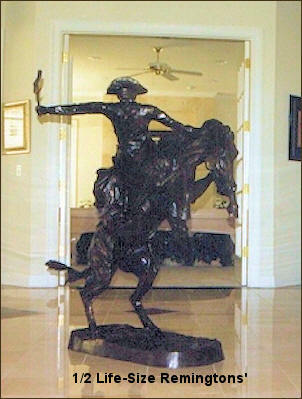 In this sculpture the horse is rearing up on two hooves and pulling back in a twisting jerk away from a deadly nemesis as his rider holds on for dear life. 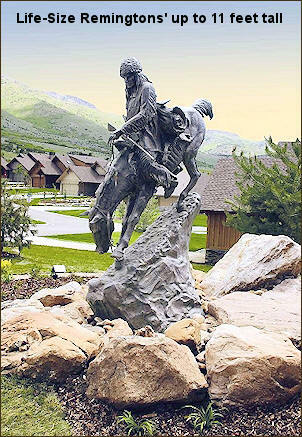 This is a classic Remington sculpture.